Texas Railroads And Railfanning In "The Lone Star State"
Like everything else about the Lone Star State, Texas railroads are big; in terms of route mileage nothing can top Texas and the state has key main lines running every which direction (UP’s Sunset Route running between Los Angeles and New Orleans and BNSF’s Transcon running between Chicago and Los Angeles are just a few). Historically, virtually every well-known Southwestern and several Midwestern railroads reached Texas looking to tap its rich oil reserves found throughout the state and the chemical industries located along the Gulf Coast (such as at Galveston/Houston). Today, while the Lone Star State has lost over 35% of its peak trackage it still includes over 10,000 miles of rails and continues to be an important generator of traffic for three Class Is (BNSF, UP, and Kansas City Southern), two Class IIs (regionals), and far too many shortlines to list here. Finally, please be aware that there several links listed within the article here that relate to Texas railroads, such as the state's history and present-day rail operations. Texas railroads date back to February 11, 1850 when the Buffalo Bayou, Brazos & Colorado Railway was chartered courtesy of its founder, Sidney Sherman. Three years later, by 1853, the railroad had extended 20 miles from Harrisburg, near Houston to Austin. By 1860 the railroad had extended to reach such towns as Alleyton, Eagle Lake, Richmond, and Brazos. The line fell into bankruptcy in the mid-1860s although it was reincorporated in 1868 as the Galveston, Harrisburg, & San Antonio Railroad better known as the Harrisburg Railroad. The new owners poured much needed capital into the company and extended it to San Antonio. By July of 1881 the GH&SA had come under the ownership of the Southern Pacific, which used the company to build a secondary main line to the port city of New Orleans. The GH&SA remained an operating entity through the late winter of 1927 when it was leased to the Texas & New Orleans Railroad, another SP subsidiary. Due to Texas’ strategic location, large size, and sources of traffic it, of course, did not take long for other railroads to begin tapping and building aggressively into the state. In the years following the arrival of the Buffalo Bayou, Brazos & Colorado several other, and more celebrated, lines built into Texas. 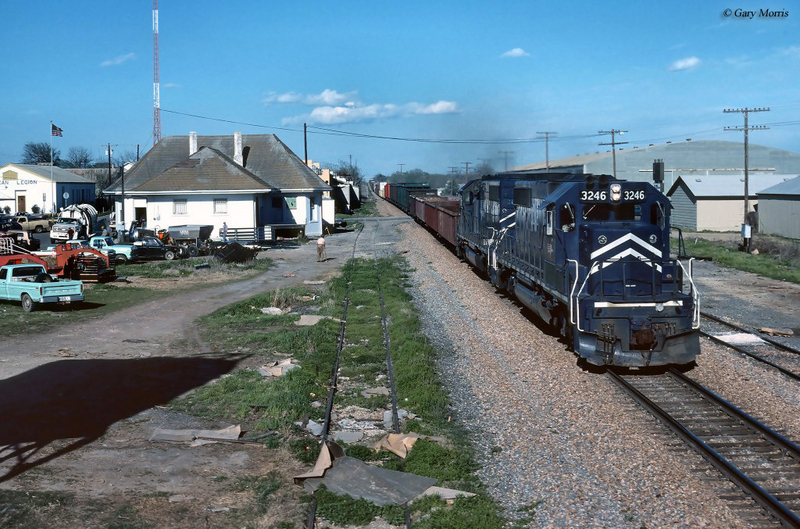 Of all of these railroads, the SP and MP controlled the majority of the route miles in Texas connecting to virtually every major city in the state with a significant presence in lucrative East Texas where the chemical industry sprang up. Both railroads served all of the state’s key markets and both of whom also operated key main lines to reach such cities as Houston, San Antonio and Dallas/Fort Worth (Southern Pacific’s Sunset Route and Missouri Pacific’s Texas & Pacific main line). Both railroads were fierce competitors in the Southwest, particularly in Texas, dating all of the way back to the late 19th century when Jay Gould controlled the MP and Collis P. Huntington the SP. Today, Texas railroads are mostly the domain of Union Pacific which controls roughly 51% of the trackage in the state, which is interesting considering that the UP never had a presence at all in the Lone Star State until it purchased the MoPac and later, SP. Another 38% is the domain of BNSF leaving a mere 11% in control of shortlines. And, as you can probably guess, Texas railroads feature several shortlines. 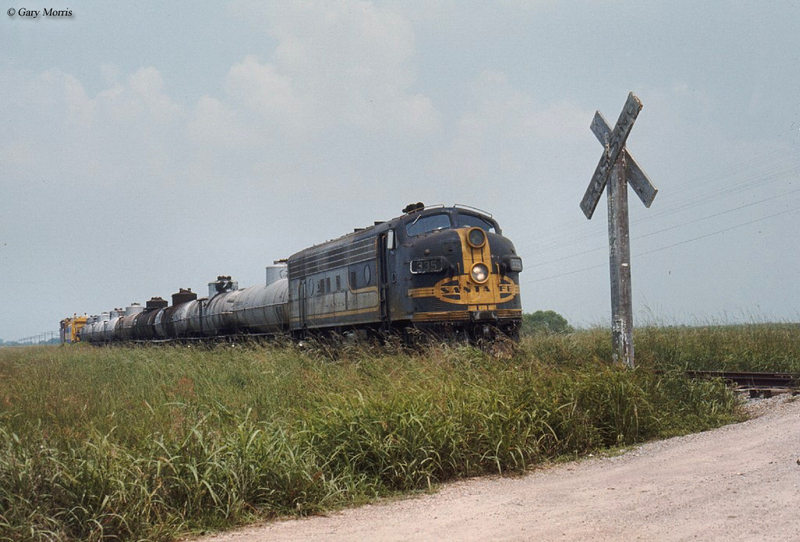 Some of these include the Angelina & Neches River Railroad; Austin Western Railroad; Blacklands Railroad; Border Pacific Railroad; Corpus Christi Terminal; Dallas, Garland & Northeastern Railroad; Fort Worth & Western Railroad; Galveston Railroad; GWI Switching Services; Panhandle Northern Railway; Point Comfort & Northern Railway; Rockdale, Sandow & Southern Railroad; Texas Central Business Lines; Timber Rock Railroad; and the Wichita, Tillman & Jackson Railway. In total, railroads in Texas today still operate over 10,000 miles of trackage although this is down from the peak of 16,125 miles during the industry's height that occurred during the 1920s. 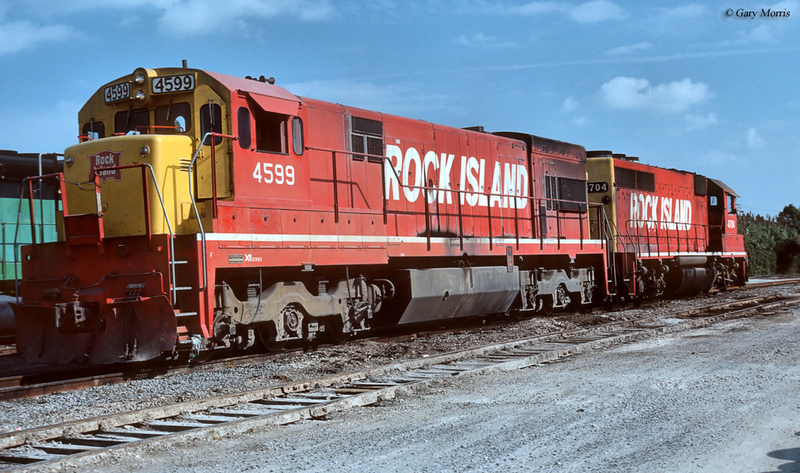 Still, the state retains about 65% of its railroad infrastructure, mostly due to the fact that several important routes pass through Texas, such as those mentioned at the beginning of this article. Much of the 6,000 miles that has been abandoned are low-density secondary and branch lines, along with part of the Katy which the UP abandoned after acquiring ownership in the late 1980s. 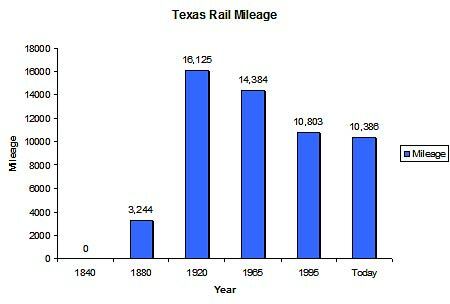 For more information on Texas railroads, in terms of route mileage over the years please take a look at the chart above. Under Amtrak, Texas has retained a number of the famous passenger trains that existed prior to the carrier. For instance Southern Pacific’s Sunset Limited still runs between New Orleans and Los Angeles and Missouri Pacific’s Texas Eagle still makes several stops in the state including San Antonio, Dallas, and Austin (at San Antonio you can jump on board the Sunset Limited to Los Angeles or New Orleans and vice-versa). To learn more about these historic streamliners, and others, which served Texas please click here. Lastly, if you are an avid railroad historian or enjoy excursion trains, then you’ll love what Texas has to offer! For instance, there is the Austin Steam Train Association which operates excursion trains behind historic Alco diesels (complete in Southern Pacific “Black Widow” livery) and an ex-Southern Pacific Mikado (2-8-2) steam locomotive. And then there is the Galveston Railroad Museum, one of the finest in the state that features plenty of historic equipment and interactive exhibits. 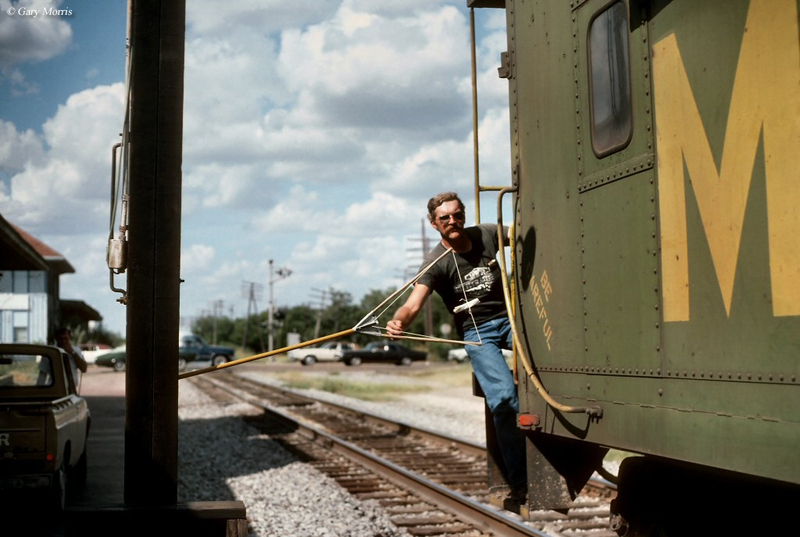 Altogether, Texas railroads are as grand as the Lone Star State itself and truly are Like A Whole Other Country. With over 10,000 miles of rails, whether you are interested in high speed, main line freight operations, local shortlines or just a good museum you should have no problem finding it in Texas.